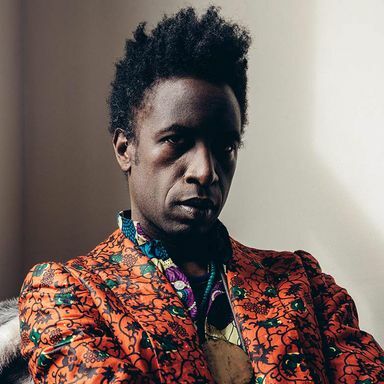 Saul Williams is a rapper, musician, poet, writer, and actor who engages each of these forms equally, with both aggression and compassion. He has been breaking ground since his debut album, Amethyst Rock Star, was released in 2001. Williams’ endlessly imaginative vision and voice take on a new life in his latest multimedia project MartyrLoserKing, a modern day parable of a Burundian hacker who sparks a revolution by hacking NASA. While the incarnations and labels of poetry and the arts more generally have metamorphosed over time, and his own output has bounced between creative spheres, Williams still prefers to define himself first and foremost as a poet.